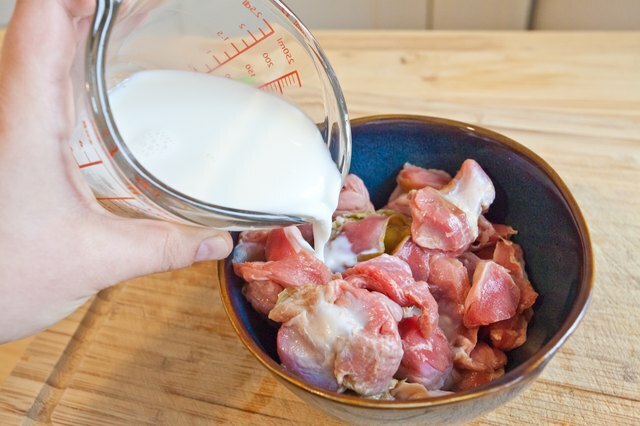 The gizzard and heart can yield some of the toughest bites you'll find in a chicken; both organs get a lot of work throughout the life of the bird and won't gracefully reach tenderness when fried without a little coaxing. Relieve them of their marked chewiness with the Southern treatment: a little pounding from the meat mallet and a cultured buttermilk bath. Rinse the gizzards and hearts under cool water and drain them on paper towels. 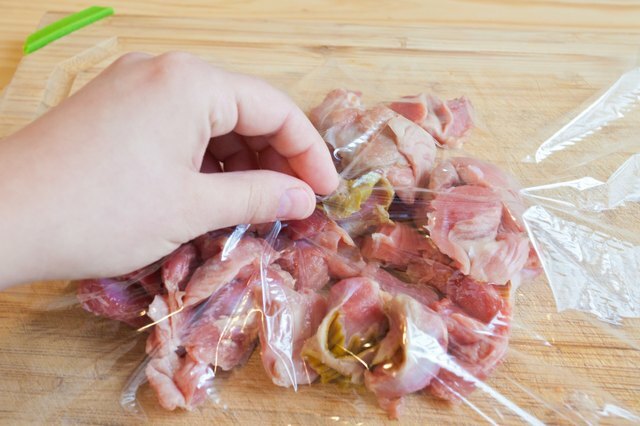 Pat the gizzards and hearts dry with a paper towel and transfer a handful of them to a cutting board. 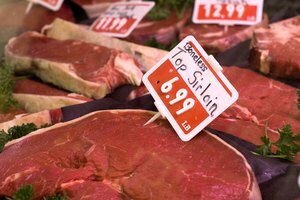 Cover the gizzards and hearts with a couple of sheets of plastic wrap and tuck the edges under the cutting board. Cover the plastic wrap with a thin cloth or kitchen towel. Strike the gizzards and hearts several times with a meat mallet, the bottom of a saucepan, a rolling pin or whatever you have handy. 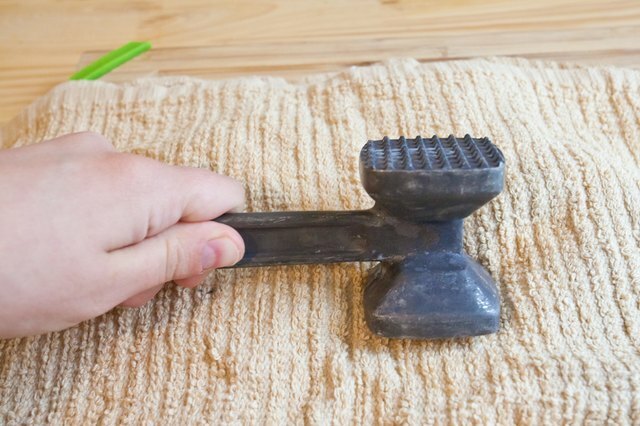 You don't have to pound them to a uniform thickness, just strike them firmly a few times. Transfer the gizzards and hearts to a bowl with a few aromatics, such as sliced onions and garlic. 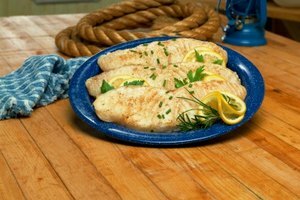 Cover them in buttermilk, and let them marinate in the refrigerator for 24 hours. Drain the gizzards and hearts in a colander. 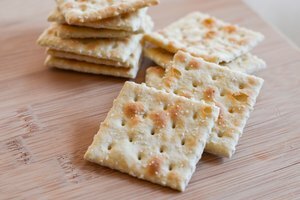 Slice them into 1/4- to 1/2-inch pieces. 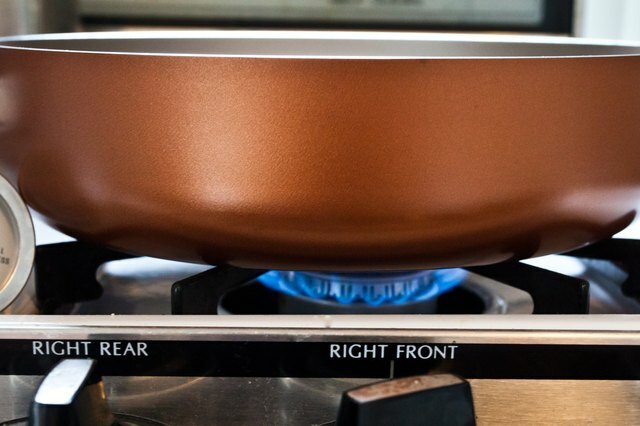 Heat 3 to 4 inches of peanut or canola oil in a tall, wide, heavy-bottomed pot -- Dutch ovens and cast-iron pans work best -- on the stove with medium heat. Mix a few cups of flour with salt and spices -- paprika is a classic -- and pour it in a dish. 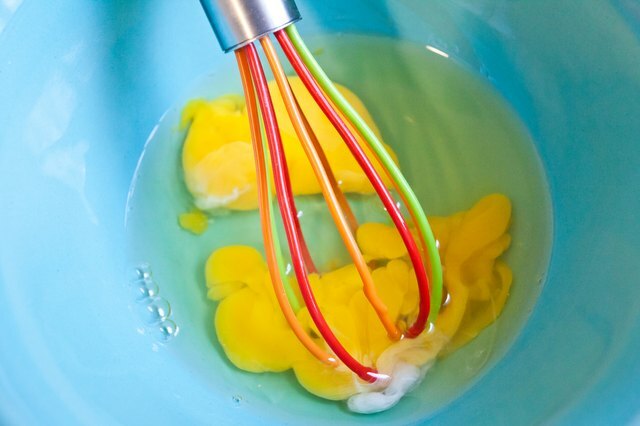 Whisk a couple of eggs in a bowl until smooth. Check the oil temperature with an instant-read thermometer and work the heat as needed to keep it between 350 and 375 degrees Fahrenheit. 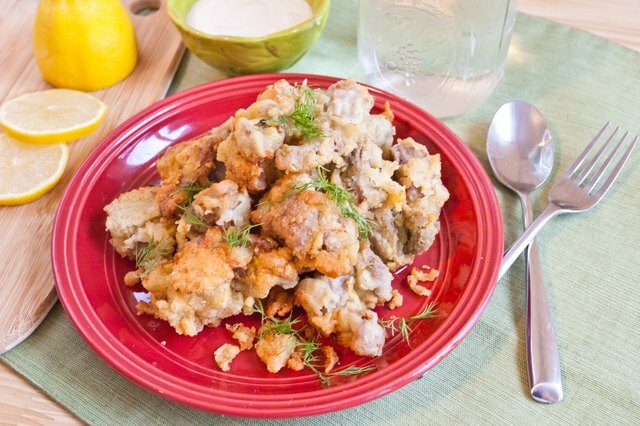 Dip the gizzards and hearts in the egg one piece at a time, and then coat it heavily with the flour mixture. 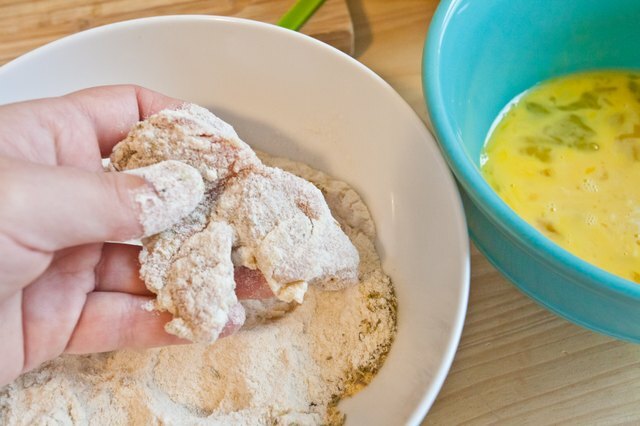 Use one hand for dipping and the other for flouring. 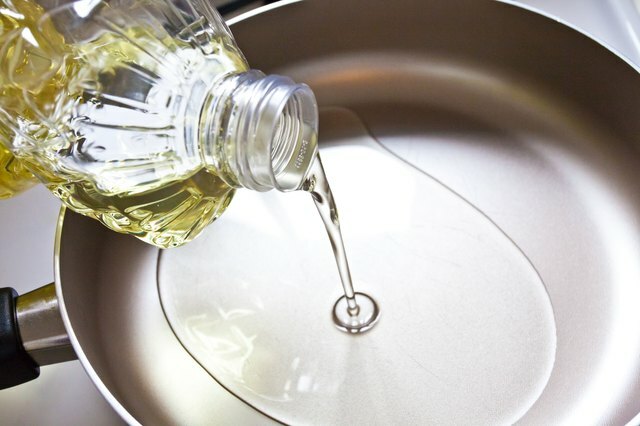 Gently drop the pieces in the oil; move them around for a few seconds using a slotted spoon to keep them from sticking. Cook the gizzards and hearts until golden brown, about 3 to 4 minutes. Then transfer the pieces to a plate lined with paper towels, again using a slotted spoon. Garnish with fresh herbs and serve straight away. 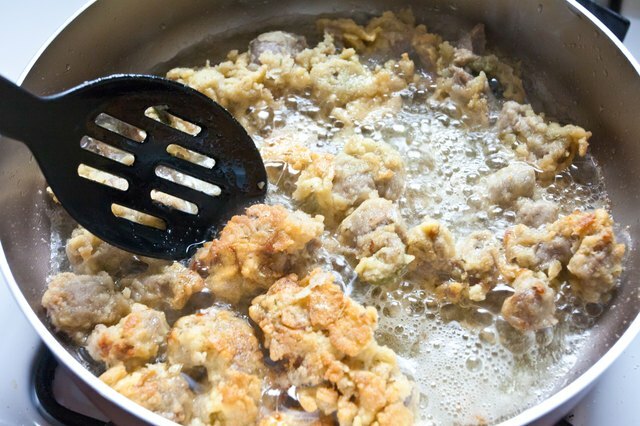 As an alternative to deep frying, saute the gizzards after slicing them. Heat a few tablespoons of oil over medium-high heat and saute the pieces until golden brown on both sides, about 6 minutes, turning frequently. 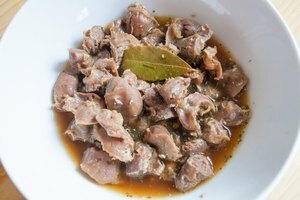 Gizzards and hearts should reach 165 degrees Fahrenheit during cooking. Use an instant-read thermometer to check one if you're unsure.